Anti-establishment and against the grain, perfectly reflecting the zeitgeist and without doubt sophisticated. The music combines perfectly the essence of experimental modern jazz with driving pop, raging rock and contemporary classical music. 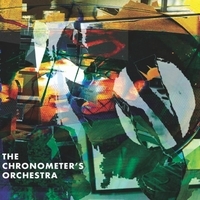 The Chronometer’s Orchestra, under the artistic management of Zacharias S. Falkenberg, awardee of one of the most prestigious dutch composition awards, combines the essence of modern classical music with experimental Jazz. The result is a top notch orchestra that surprises the audience with complex rhythms and avantgardistic harmonies. Falkenberg’s influences in music are amongst others: Frank Zappa, Soft Machine, Django Bates, Miles Davis, Igor Stravinsky, Karlheinz Stockhausen and György Ligeti. TCO has a peculiar setting: 5 horns, a stringquartet and a rhythmsection consisting of piano, 2 guitars, upright bass, marimba and drums. Members of the group include well-known musicians as drummer Yonga Sun, bassist Dion Nijland and pianist Philipp Rüttgers.